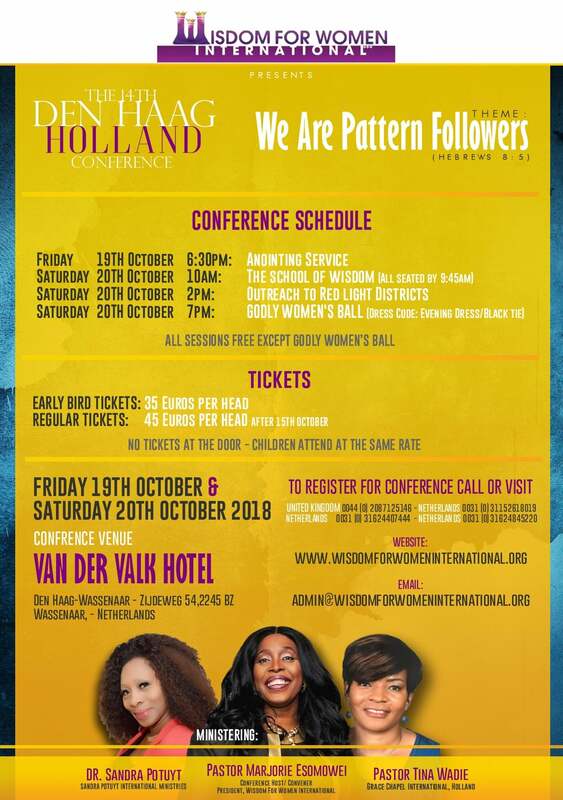 Every Year since 2004, Wisdom for Women International has held the annual ladies conference in The Hague where we collaborate with over 10 Churches to host the conference. This Spirit filled two days conference is now fully entrenched as a part of the Den Haag Christian ladies calendar. Women are lifted, empowered and released into their God given destiny and potentials. 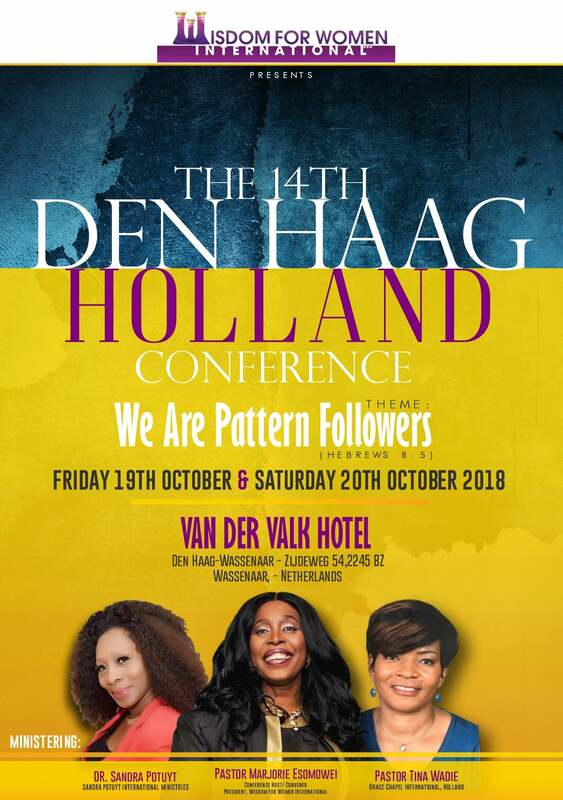 Each year at the conference, we send a team of ladies who go door to door into the two red light districts of The Hague to minister to Women & about the saving Grace of our Lord Jesus Christ.